Having a party? 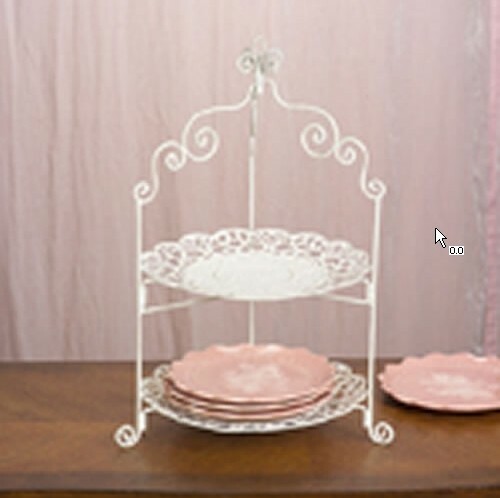 Need something to put those petit fours, cookies, brownies, candy and cakes on? Look no further....we have just what you need. Some of these can be sued on a buffet or used individually for an afternoon tea party. Some even fold up for easy storage. A liner is recommended for food use. Pierced metal and wire in a creamy white finish. Liner recommended for use with food. Dimensions: 18.25"h x 11.25" dia. 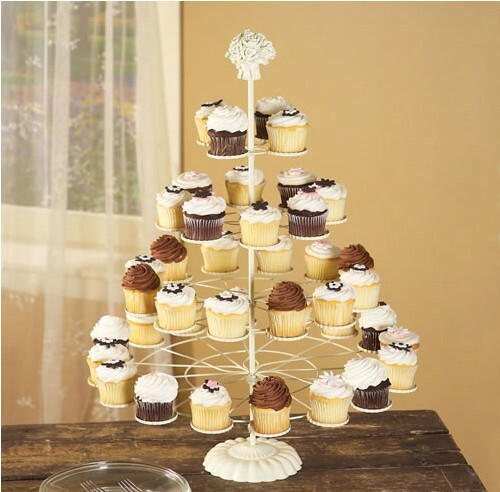 Three stands in one - adjust tiers to hold 12, 24, and 40 cupcakes. Supports up to 15 lbs! 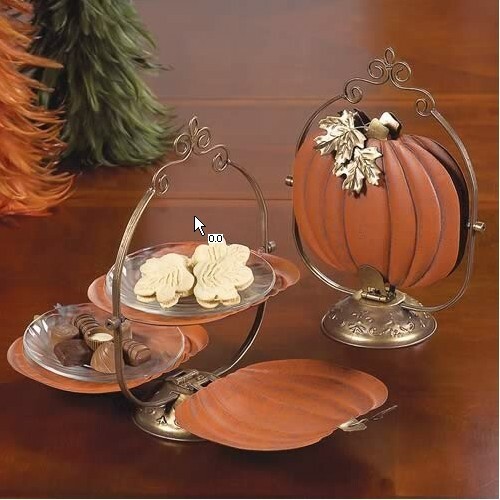 Features a weighted fluted base to help prevent wobbling and toppling over. 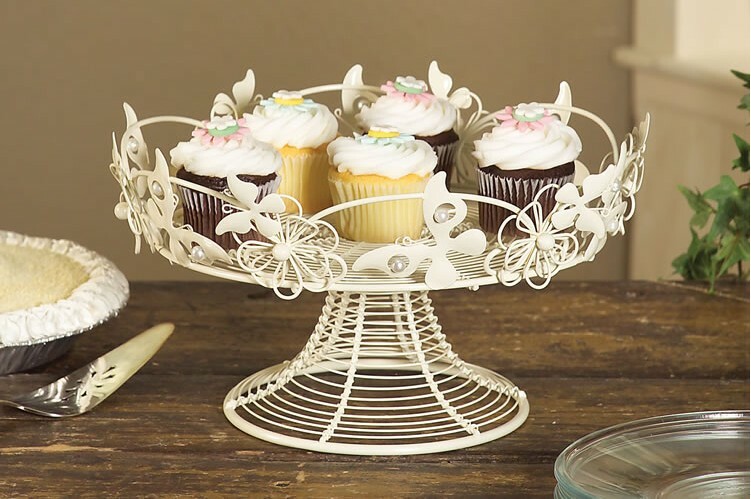 Scalloped edged podiums keep cupcakes from sliding off. With 4 1/2" between tiers, there is plenty of room to hold tall cupcake designs and to easily grab them. Topped off with a sculpted resin bouquet finial. Dismantles for easy cleaning, transporting and storing. Hand wash.
Metal with faux pearl accents. Hand wash, liner recommended.